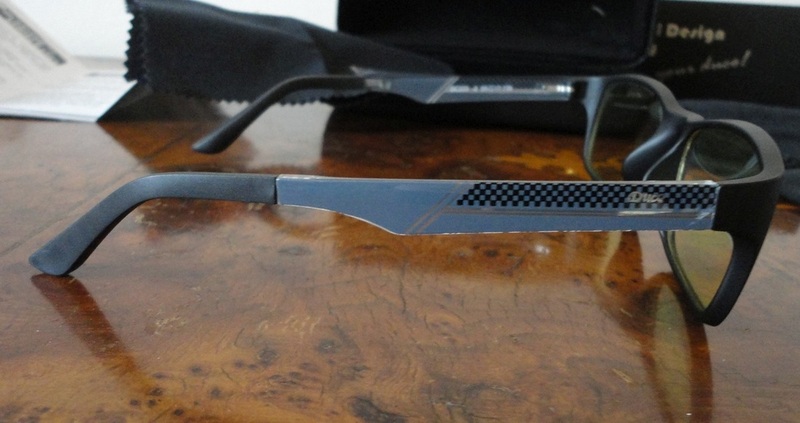 These computer glasses are unisex but, to me, they have a distinctly masculine vibe. Now that my test period is over, they have become my husband's favourite computer glasses, certainly for daytime use (he has another darker pair that he uses almost exclusively in the evening). Until recently I knew very little about blue light, a fascinating and scary subject considering that most of us spend increasingly longer hours in front of a computer or tablet screen. However, I certainly knew all about eye strain, headaches and sleep disruption. 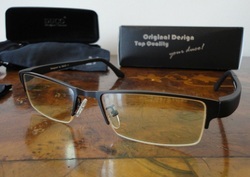 Having tested, and quickly adopted, another brand of anti-glare glasses, I was in a good position to give these a try. These frames are really light and unobtrusive, and look rather sharp. It's fair to say that I forget I'm wearing them. They sit firmly on the bridge of my nose without pinching or slipping. The lenses are large enough to shield my field of vision very adequately. 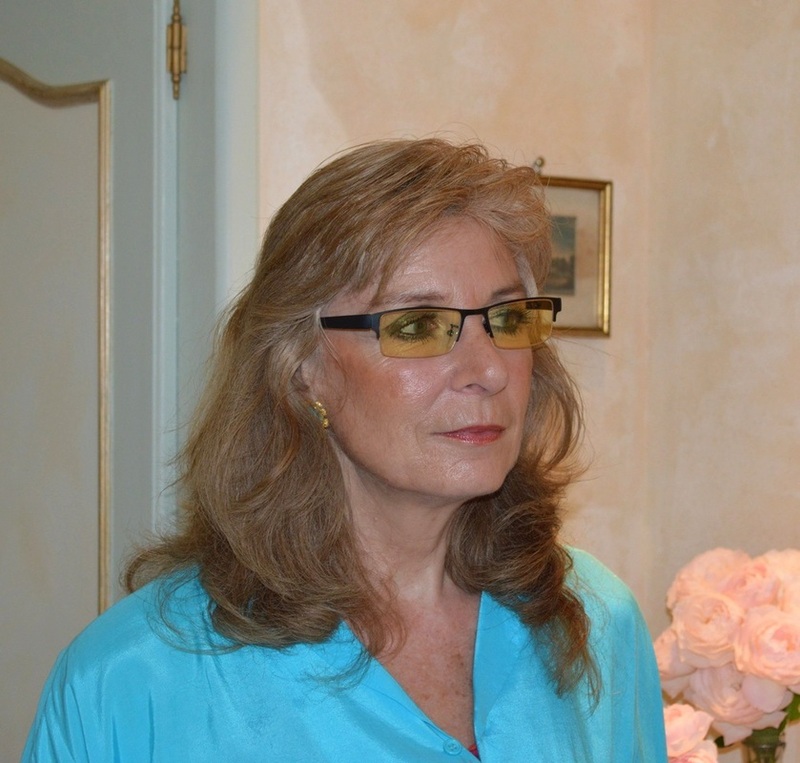 What I love about them is that the lenses are not strongly tinted (a light amber) and the chromatic correction is minimal, ideal for daytime use and so subtle that I can even work on photos while wearing them. 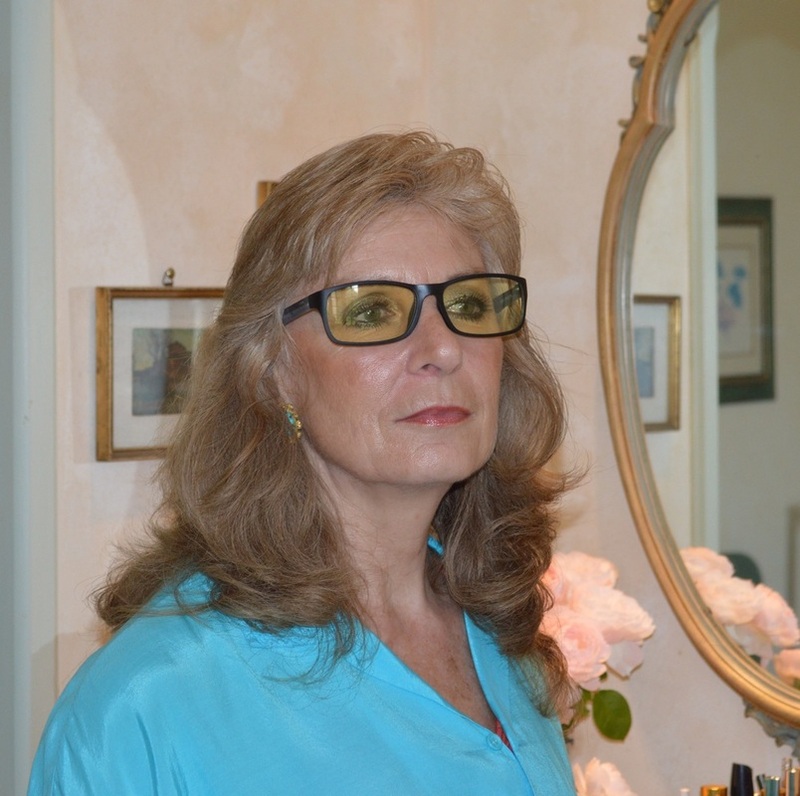 They are not corrective lenses but, by filtering out the glare, they produce a crisper, clearer image and significantly diminish eye strain. 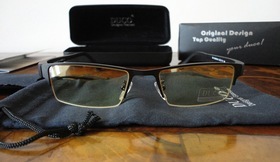 By blocking blue light, they reduce the onset of macular degeneration. As usual with Duco glasses, the full package is very attractive and well above average. A beautiful hard-shell black case snaps open and closed with ease and is large enough to house the glasses, the cleaning cloth and even a soft fabric sleeve with draw cord. 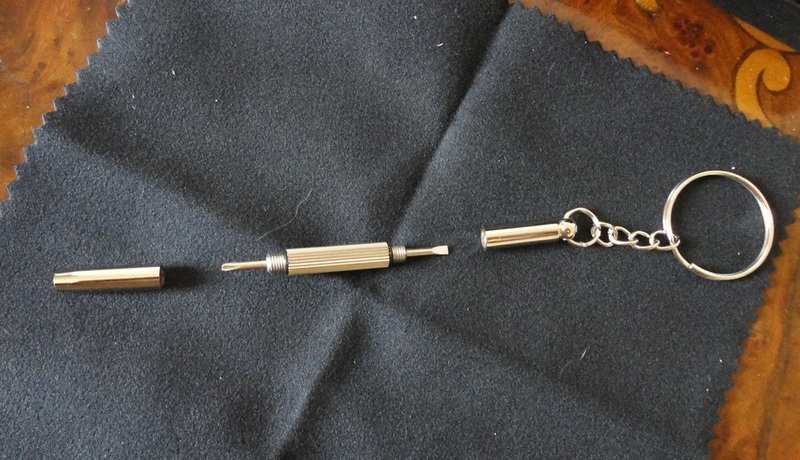 Also included is a keyring with a tiny double-ended screwdriver, a very useful tool especially designed to tighten the hinges. 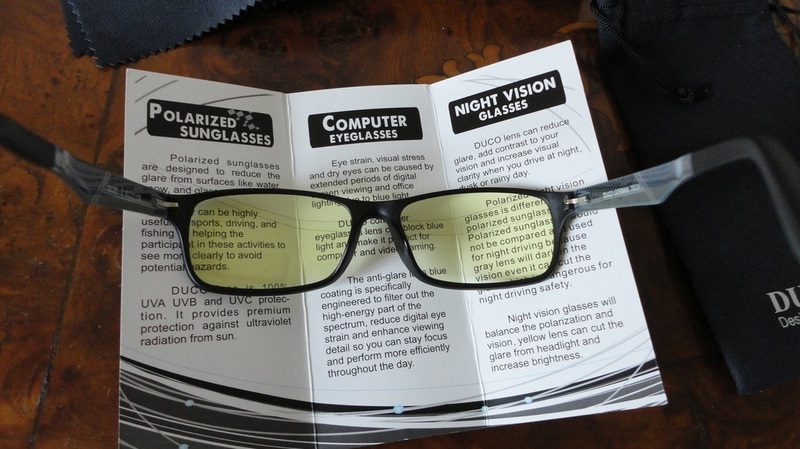 An informative booklet explains features and care of the glasses. I wore these glasses 8 hours a day or longer for several weeks. I found them very effective in reducing eye strain, they help me focus better and have practically eliminated the headaches I used to get. I'm also sleeping better at night. I am happy to recommend this brand to anyone who is concerned about blue light and its dangers. Until a few months ago, I was fairly ignorant about blue light and the health problems it can cause, so would urge anyone who spends time looking at a computer screen, whether for work or gaming, to investigate its effects. 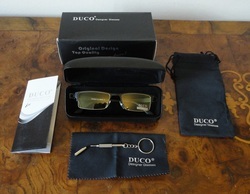 I approached this test from a position of relative knowledge, having already tried both other computer glasses and Duco products. The combination of the two did not disappoint. These lenses offer the anti-glare, blue-light protection that I have come to treasure, but in a lighter, more amber than yellow tint which I find ideal for daytime use, as well as for when I turn on the lights. 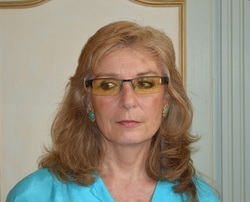 The frames I chose, called Optiks GX090, are very attractive and super-light. 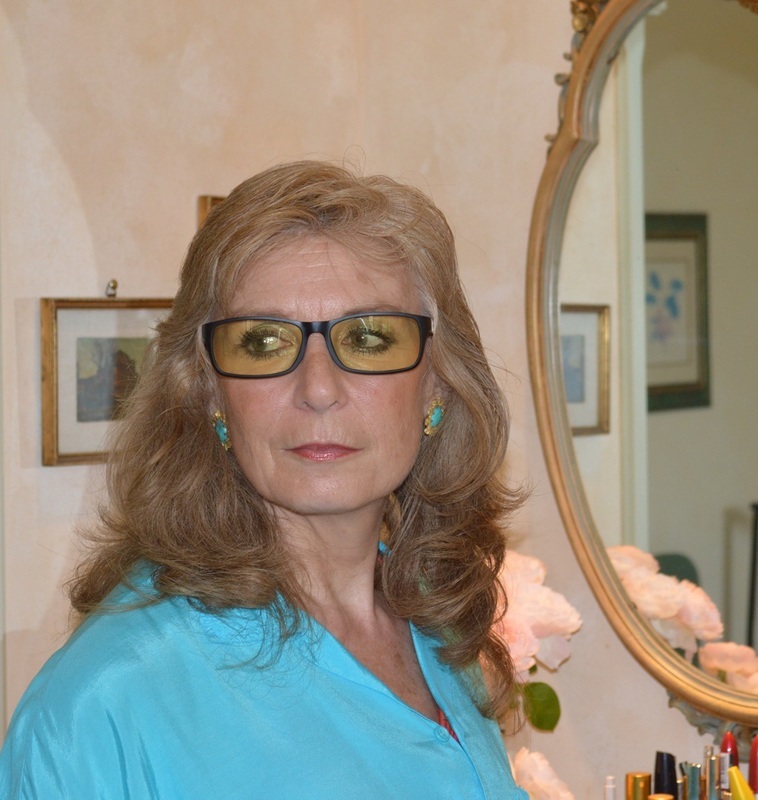 The lower edges are rimless and the nose-pads are adjustable; I can position them wherever I want on the bridge of my nose where they sit firmly without pinching or slipping. The lenses are narrower than I expected but cover my field of vision very adequately. 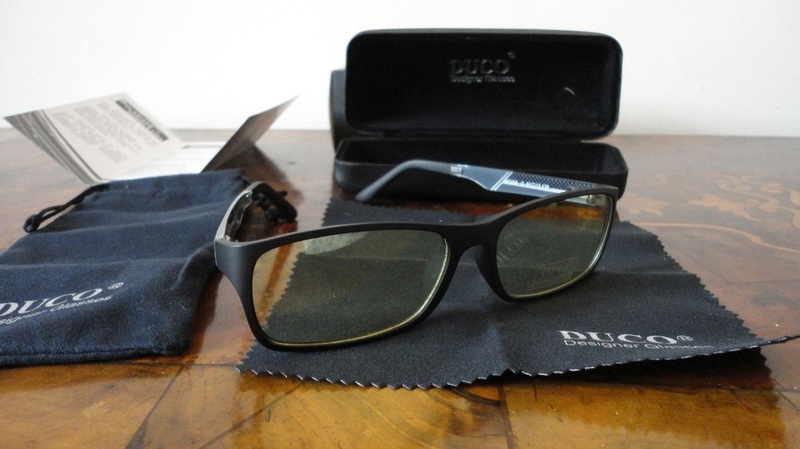 Duco always deliver superior packaging. 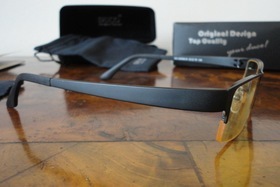 The beautiful hard-shell black case snaps open and closed with ease and offers spacious protection for the glasses. 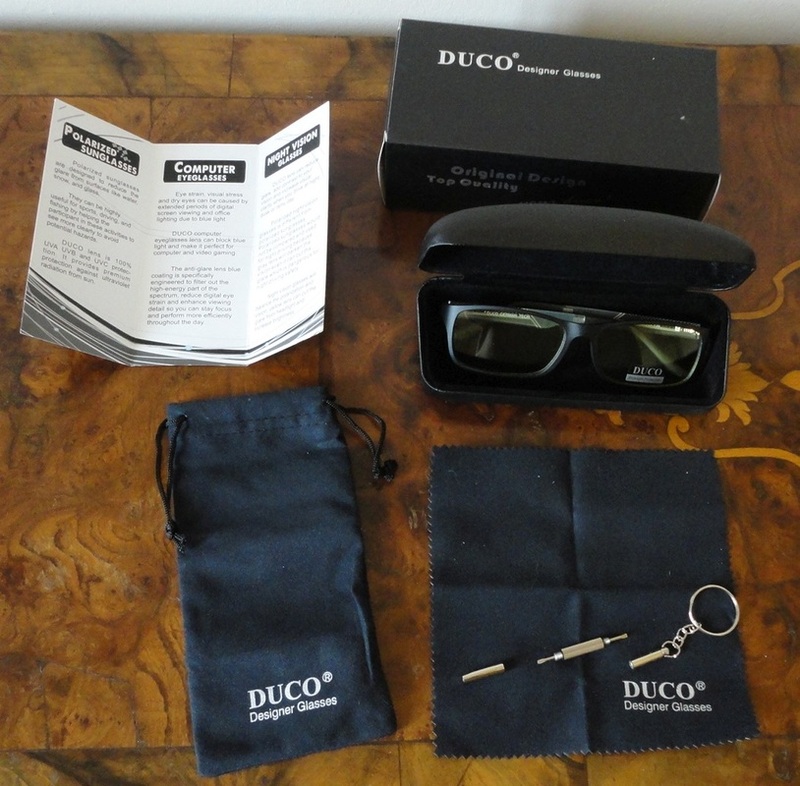 In addition to the glasses, I found a rather luxurious soft fabric sleeve with draw cord, a large cleaning cloth, and a keyring with a tiny double-ended custom screwdriver, a very useful specialist tool that can save the day if the hinges need tightening. An informative booklet explains features and care of the glasses. After seven weeks of wearing these glasses all the time I am in front of my computer and tablet screens (easily 8 hours a day), I can confirm that they help me focus better and my eye-strain-related headaches have practically disappeared. Because the chromatic correction is so small, I can even use them for photo editing (not always the case with computer glasses). I am happy to recommend this brand to anyone who is concerned about blue light and its dangers.